500W SATA Power Supply for CD DVD Blu-Ray USB SD Duplicator Tower Case with 13 Sata 2 Ide Connectors 8 CM big Cooling 115V/230V Input Switch. 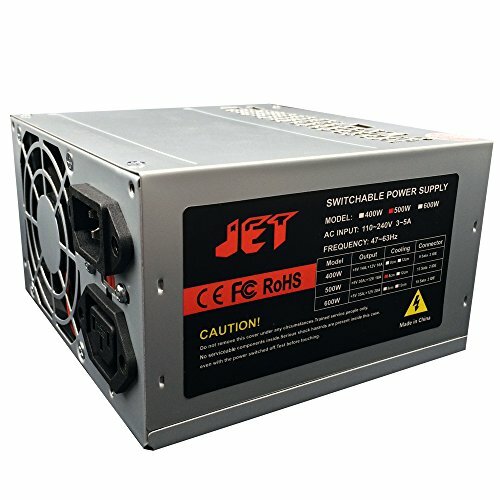 --Note: This power supply is for use on professional Duplicator tower, not for use on personal computer. Power Output Capacity: 500 Watt. Ventilation: Cooling Fan Size 8cmX8cm. Designed for CD/DVD/Blur-ay/USB/SD Duplicators of 1 Target, 2 Targets Up to 11 Targets(13 Bay).